From the insanely steep rocky plateau climbs of the Namib-Naukluft Park to the monstrously high fun sand dunes of the Namib Desert and the slip-sliding mud tracks through the teeming-with-wildlife Etosha National Park there is literally a trail for every 4×4 driver-skills level and interest. There are numerous opportunities to explore off-the-beaten track 4×4 destinations in Namibia. With the versatile and rugged landscapes of the Kalahari in the east, the uninhabited expanses of Kaokoland in the north-west, and the Namib Desert’s giant sand dunes along the coast beckoning to adventurers and adrenalin junkies alike, Namibia is a 4×4 off-roader’s greatest challenge and most epic quest. Although there are many areas of the country that provide for great off-road adventures, the coastal strip – spanning 1,570 km with the Atlantic Ocean to the west and the Namib Desert with its towering dunes and unexplored landscapes to the east – is by far the most beautiful and most challenging expedition for an off-roader to undertake. 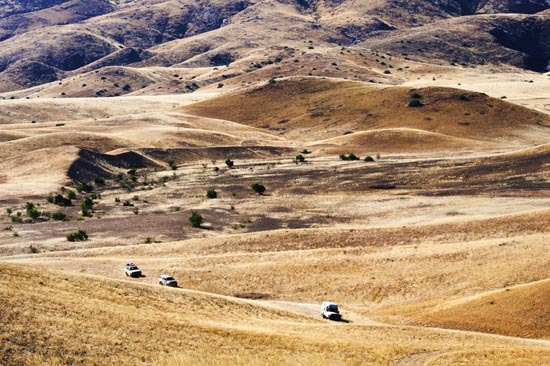 Trails in the Dorob National Park offer a wide choice of 4×4 tracks for adventure seekers. There are a few popular off-road vehicle (ORV) zones in the dune belt between Swakopmund and Walvis Bay for short day trips. 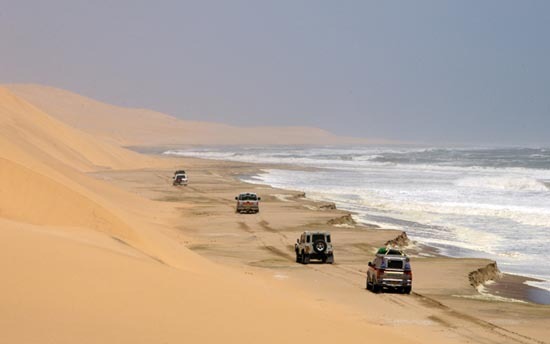 Two of the most popular 4×4 trails and destinations along the strip are Sandwich Harbour and the Skeleton Coast Park. A permit is needed to enter both these areas. Permits can be obtained from the Ministry of Environment and Tourism (MET) and Namibia Wildlife Resorts (NWR) offices. It is advisable to travel with an experienced operator/guide, as the terrains can be hard to navigate and often serve up unexpected surprises. 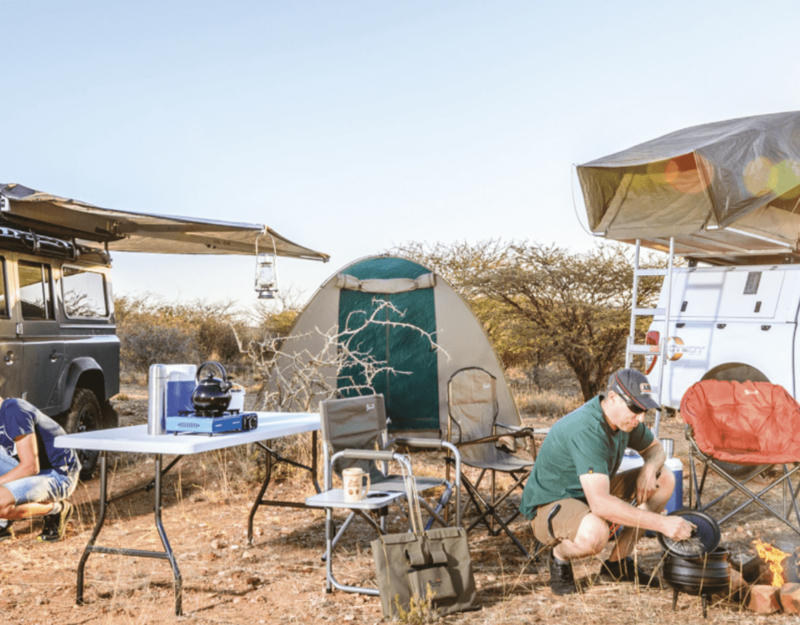 Off-road adventures in Namibia are laden with amazing views and scenery, cultural interactions with locals and exciting wildlife encounters, but should not be undertaken lightly. Meticulous preparation is required when planning these trips. There are numerous tour groups that can be joined in this region. These 4×4 experiences are offered either as guided or self-drive tours. Concession tours have gained a great deal of popularity over recent years, and companies with concessions to certain areas can take you and your vehicle into regions of the coastal strip and national parks that are otherwise inaccessible to the public. Companies catering for the needs of would-be desert conquerors include Uri Adventures, Desert Magic Tours, Namab Desert Tours, Turnstone Tours Namibia, Sandwich Harbour 4×4, Dolphin Tours Namibia, Omalweendo Safaris, Westcoast 4×4 Namibia, Unique Tours & Safaris and Coastway Tours Lüderitz, amongst others. These companies have a wide selection of set tours and itineraries, but often also cater for more specialised tours. Popular set trips along the coastal strip include trails from Lüderitz to Walvis Bay, through what used to be known as Diamond Area No 2, visits to Conception Bay, Meob Bay and Sandwich Harbour, as well as trips from inland destinations such as Sossusvlei and Solitaire to the coast. Popular off-road adventures in other parts of the country include the Dorsland Trek 4×4 tour, Kalahari Bush Breaks 4×4, Klein-Aus Vista 4×4 route, Naukluft 4×4 Trail, Brandberg-West 4×4 Route, Omaruru River 4×4 Route, Doros Crater 4×4 Route, Messum Crater 4×4 Route and the extremely challenging Van Zyl’s Pass, to name but a few.